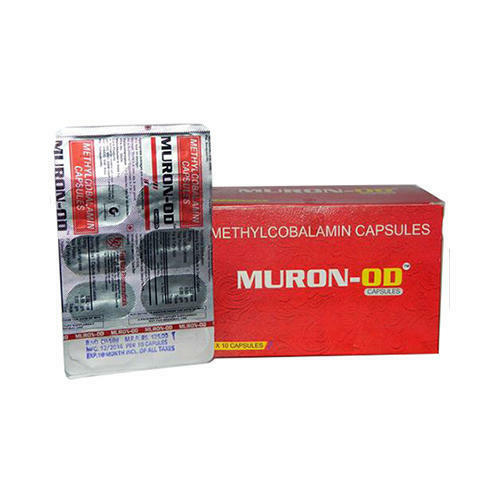 We are one of the leading manufacturers, trader & suppliers of Muron- Od. We are one of the leading manufacturers,trader & suppliers of Muron- Od. Established in 2005, the company is a leading manufacturer, supplier and trader of / Food Syrups, , Tablets and Capsules. All these products that we provide are manufactured in compliance with the prescribed industry standards and parameters. Our vast inventory of pharmaceutical products includes Pharmaceutical Syrups, Injections and Medicine Tablets. These products are formulated by a team of highly qualified and skilled professionals after years of careful research and study. These professionals are carefully selected from the best talents in the industry after strict scrutinizing of their experience and industrial knowledge. The company also sustains efforts to keep these professionals updated in the use of modern equipment and innovative technology. In our efforts to deliver quality products we make use pure and safe chemical compounds in the production of all products. Further these products are procured from reliable and trusted vendors to ensure consistency in quality. Focused on delivering maximum customer satisfaction we offer these at industry competitive prices.